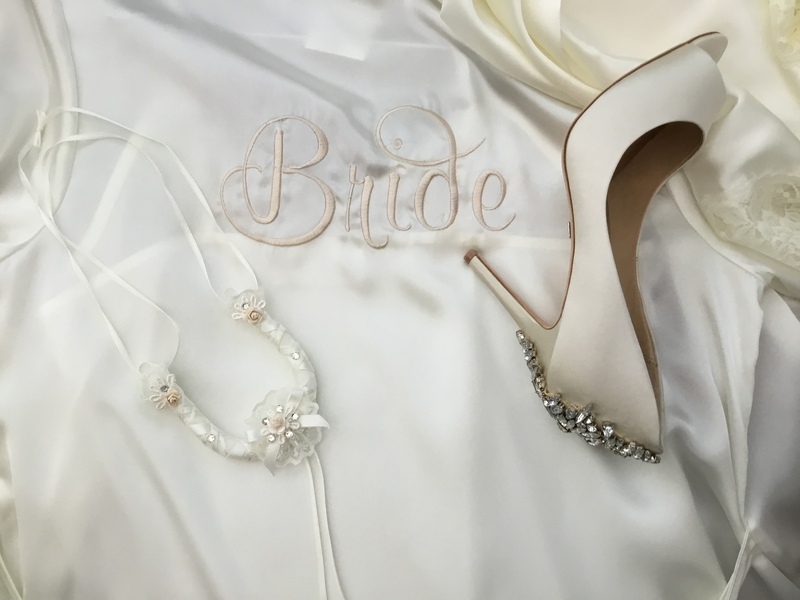 Made exclusively in WA for The Bridal Room. 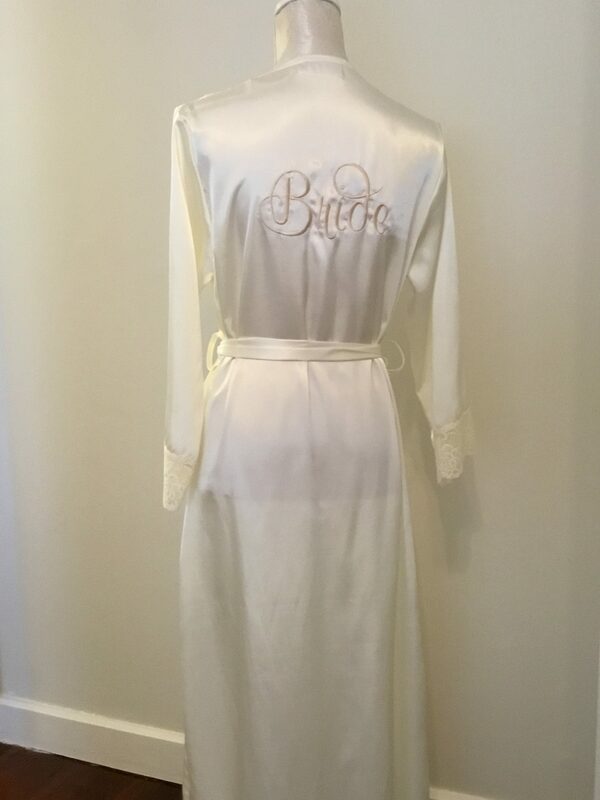 The Bride long satin and lace robe is made in beautiful ivory satin and complemented with champagne ‘Bride’ embroidery on the back. 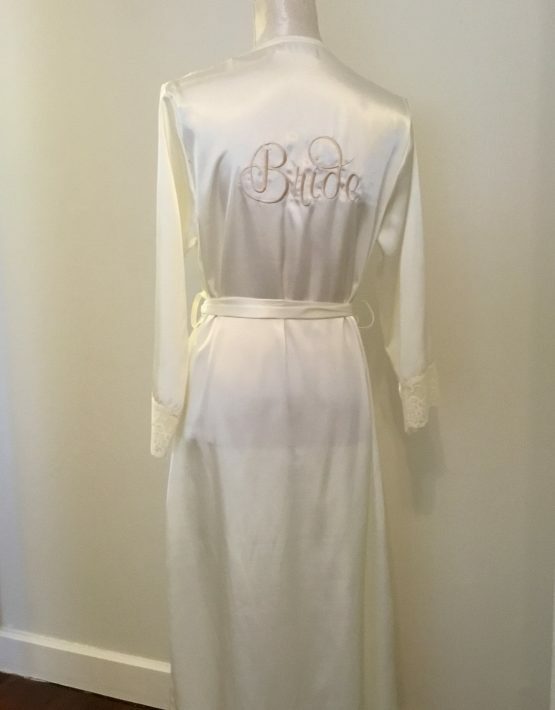 This elegant robe features delicate edge to edge lace trim from the shoulders to the floor and is worn with a matching slip, the slip is simple in design and has adjustable straps. 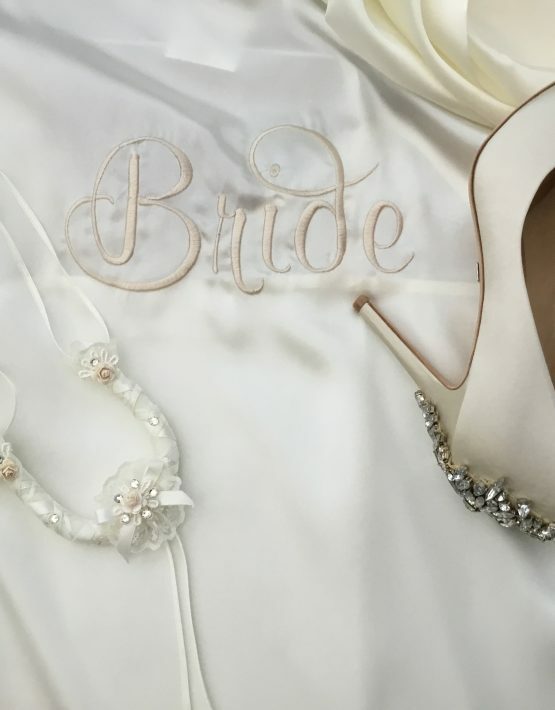 This beautiful Bride embroidered ivory robe with slip is both classic and elegant, perfect for the pre wedding day preparations and if your looking for that something special for the honeymoon, this ticks all the boxes. The model usually wears size 6-8 and is wearing an XS.